Chateauneuf-du-Pape in the Southern Rhône is one of the oldest and most prestigious wine growing regions in France. The famous red wine of Chateauneuf-du-Pape is made from a chorus of grapes, with Grenache, Syrah, and Mourvedre making up the bulk of the blend. 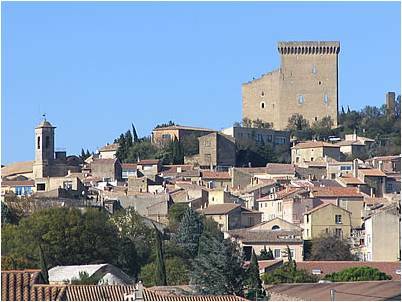 The town name, roughly translated as “New Castle of the Pope”, refers to a time in the fourteenth century when the French Pope Clement V resided not in Rome but in the city of Avignon, a short fifteen-minute drive from the Chateauneuf-du-Pape wine making region. Pope Clement’s successor, Pope John XXII, chose the town for his summer residence, and built the namesake “new castle” papal estate on a hill overlooking the vineyards. Pope John XXII also planted olive trees, expanded the vineyards, and was a great proponent of the wines of the region. To this day, the castle’s majestic remains loom over the town and form a picturesque backdrop to the surrounding vineyards. Article 1: The flying overhead, landing, and taking off of aeronautical machines called “flying saucers” or “flying cigars”, of whatever nationality they may be, is strictly forbidden in the territory of the commune of Chateauneuf-du-Pape. Article 2: Any aeronautical machine –“flying saucer” or “flying cigar”-that lands on the territory of the commune will be immediately confiscated and its passengers taken off to jail. The “flying cigar” laws remain on the books today. 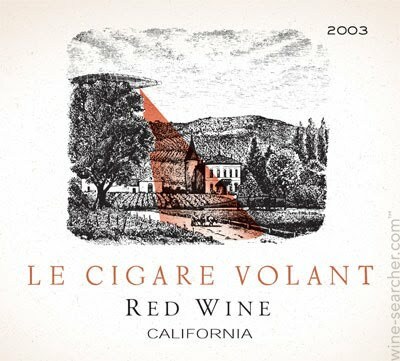 Several decades later, renegade winemaker Randall Grahm of Bonny Doon Vineyards in Santa Cruz, California set out to create a California Wine based on the grape varieties and in the style of the legendary red wine of Chateauneuf-du-Pape, he named his wine, with a respectful tongue held-in-cheek, “Le Cigare Volant”. “Le Cigare Volant” is the French term for “flying saucer”. Oh…and by the way – you can stop worrying…as far as I know, no flying saucers have ever landed in the commune of Chateauneuf-du-Pape. Thanks Miss Jane! I love this story! What’s next??? Le Cigar Volant is getting harder to find. I hope good old Randall is not thinking about stopping or limitings its production.